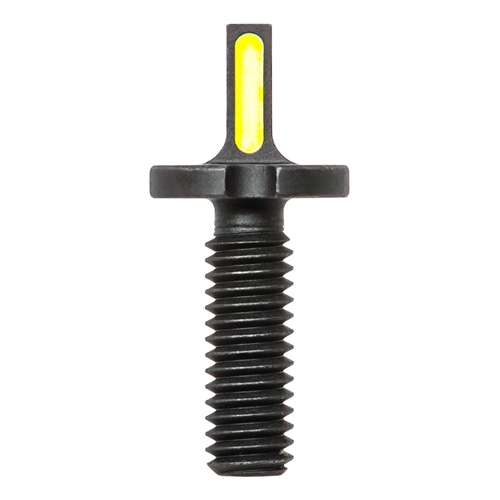 This replaces standard A2 style sight posts in any typical AR-15 type fixed or folding sight. The Blitzkrieg Components AR-15 Flat Front Sight Post for AR-15 sights provides a bold, fast sight picture with a conventionally shaped flat topped sight post. The bold, contrasting Luminescent Green Stripe gives the shooter an eye catching sight picture that excels in both bright-light and low-light environments and against all types of backgrounds. It is very fast and very easy to see. The luminescent stripe is visible on ONE side so that it doesn't glow toward the enemy. 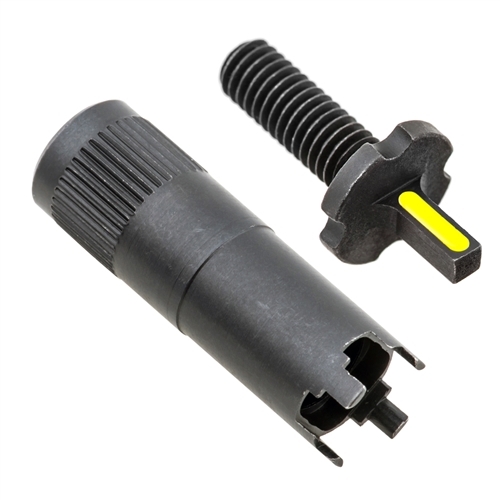 Our sight posts are precision machined from billet 416 Stainless Steel for an outstanding sight picture and precise fit in any AR-15 front sight housing including standard A2 fixed front sights and popular brands like Troy, Diamondhead, Samson, MI, YHM, Daniel Defense and Magpul plastic MBUS Gen 2. Fits anything that accepts a standard A2 front sight post. Has a black oxide matte finish. The Luminescent Green Stripe appears more yellow in daylight and glows green in low light. It is a 5 layer paint application into a machined grove. This gives you a bright yellow contrast stripe in daylight and a bright green glowing stripe in low light and darkness. Simple Drop-In installation. 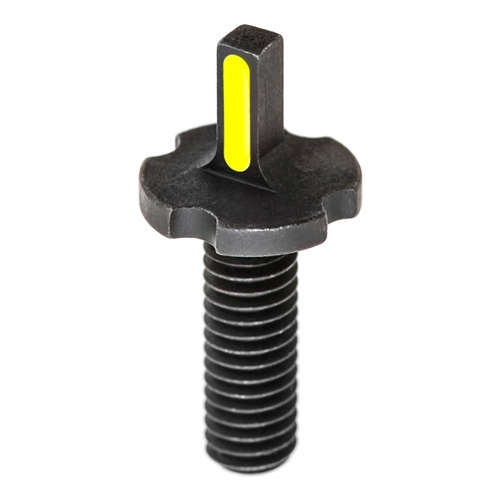 Simply unscrew the factory sight post and screw in the Blitzkrieg Components sight post using either our sight tool or a standard A2 sight tool.